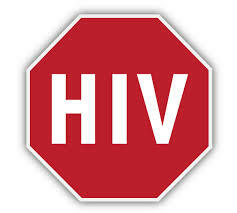 You can find HIV and STD testing in PA by entering your zip code at gettested.cdc.gov. If you still need help in finding free testing, you can send us your zip code and we’ll respond with testing options near you. Send messages to m4mInformation@pitt.edu with the word “testing” in the subject line. We’ll get back to you within 24 hours. Most centers will test for HIV for free. Some have rapid testing, which means you can get results on the spot. Other centers also test for other STDs, including Syphilis, Gonorrhea, Chlamydia and Herpes. If you don’t get result on your first try, you may need to broaden your search area beyond the preset ten mile radius. Getting an HIV test is the only way to know if you have HIV. In addition to locating testing centers near you, the CDC provides answers some of the most common questions related to HIV testing, including the types of tests available and what to expect when you go to get tested. Go to the CDC Q&A page for more information.